On 27 and 28 March 2019, Windmöller & Hölscher (W&H) hosted visitors to its Experience the Future of Flexo Open House in Lengerich in Germany. 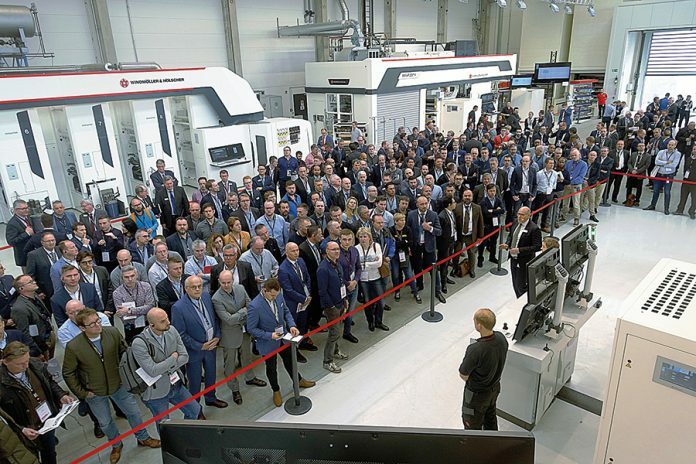 More than 500 visitors from around the globe attended demonstrations showing how fast an optimized printing process can be today – just 3 hours after a group photo was taken, the image was produced on the new Novoflex II at speeds of 600 meters a minute. Job changes every 5 minutes demonstrated the efficiency of the W&H machines and intelligent automation systems for short runs. W&H demonstrated the performance of the new Novoflex II system by switching between two images at a speed of 600 meters per minute. Both jobs were high line count graphics with particularly hard leading edges of plates. The first image was the group picture taken in the morning. The conversion from image to finished print in 3 hours was made possible by an optimized process. Partner Kodak Flexcel used the Flexcel NX Ultra solution to produce ready-to-print Ultra plates in less than one hour. The Novoflex II with its clearly structured printing unit as well as automatic storage and sleeve ejection system enables a sleeve change in just a few minutes. The Easy automation modules ensure fast setting as well as impression setting and register setting in less than 90 seconds. 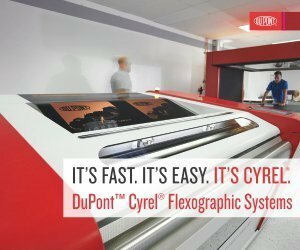 “We wanted to demonstrate that flexo printing, with its high quality and proven process reliability with modern W&H machines and an optimized overall process, enables enormous flexibility and speed. The reactions of the guests showed we were successful,” summarizes Hermann Veismann, head of the Printing Division at W&H. 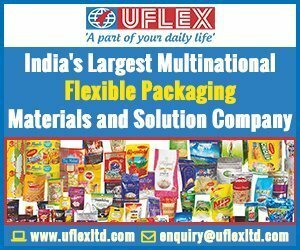 The W&H Miraflex is the market’s best-selling press with more than 650 machines worldwide. At the Open House, two versions of the Miraflex II where shown – the proven dual-port and a new compact single-port that requires less floor space. Thanks to the face-to-face winder configuration on the single-port, there is a central loading and unloading area for the winder, which shortens web and operator distances. In addition to a pure process 4-color job, the single-port showed further developments in the fully-integrated Vision print monitoring system designed in-house by W&H. The audience was particularly interested in the unique Head-Up display and the intelligent print defect classification. “The developments presented are part of our focus on Packaging 4.0 – intelligent machines, intuitive operation and integrated processes,” says Veismann. W&H also used the demonstration of the two Miraflex II versions for a direct comparison of CMYK color separation with multicolor separation. While the single-port printed in 4 colors, the dual-port worked with a fixed 7-color palette. 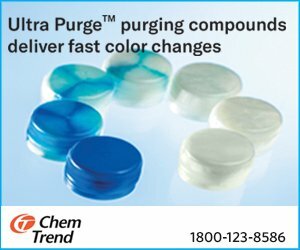 This direct system comparison showed the advantages and possibilities offered by the consistent use of an extended color gamut. In this context, the technical highlights in the areas of inking, inking unit design and drive technology of the W&H presses were clearly demonstrated. The Information and Diagnostics Center (IDC) demonstrated the use of digital data glasses during live troubleshooting. A customer who needs technical support puts on the headset with integrated camera and connects to an expert from the IDC. The expert sees everything the customer sees in real time and can help him quickly and easily. In the medium term, the digital services will be used in both service support and training. “With digital data glasses, we are bringing our experts even closer to our customers. This enables us to make our service even simpler, faster and more convenient for our customers,” says Christian Brönstrup, head of the IDC. The W&H Printing Technology Center is now home to a dedicated Flexo Plate Center, a partnership between Kodak and W&H, where the Flexcel NX Ultra Solution will be available to both W&H and Kodak for customer demonstrations on an ongoing basis. Used in the open house demonstrations to make plates in less than an hour, the Flexcel NX Ultra is the first aqueous solution that provides consistent, high-performing flexo plates for high-volume, low-maintenance requirements. “Our partner Kodak offers prepress specialists an exceptional addition to their existing equipment with its Flexcel NX Ultra Solution. In-house plate production enables simpler and faster processes and helps shorten time-to-market,” adds Markus Bauschulte, technical sales director ‒ Business Unit Printing and Finishing at W&H.